Leopard is having a birthday party – and he hasn’t invited Aardvark. But the celebrations turn out to have a sting in the tail when pesky ants start biting all the guests’ bottoms! Soon pants of every kind are whizzing through the air, as the guests toss away their underwear to get rid of them! 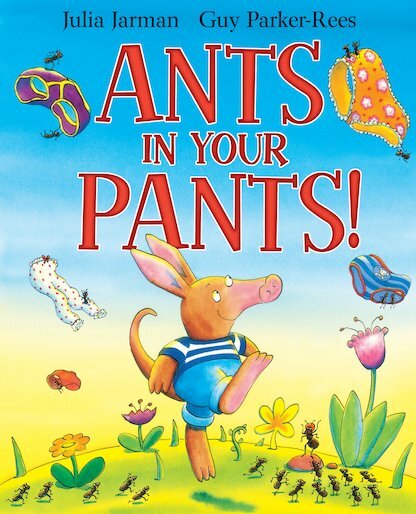 Only Aardvark can eat the ants and save the day – but will he make it to the party? Award-winning author Julia Jarman teams up with the best-loved Guy Parker-Rees, illustrator of Giraffes Can’t Dance, in this hilarious yet sweet rhyming story, with its important message about including others.